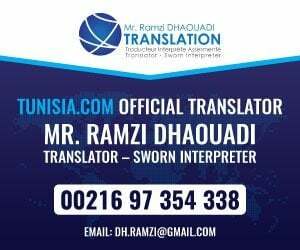 When you contact an estate third party or advertiser on the Tunisia.com website your contact information it transmitted directly to them in Tunisia. Please do not fill in any forms or request information if you do not wish this to be the case. We get thousands of emails asking for help and unfortunately we are no substitute for the official ONTT in Tunisia or your embassy. If you still feel that you need help please post to the forums where the community will do their best to help.